From spectacular speakers to groundbreaking announcements, Opentalk18 was a conference to remember. If you couldn’t make it to our third annual event, or simply want to relive the fun, read on for our top 15 magical moments from Opentalk18. How will these products be powered, you ask? 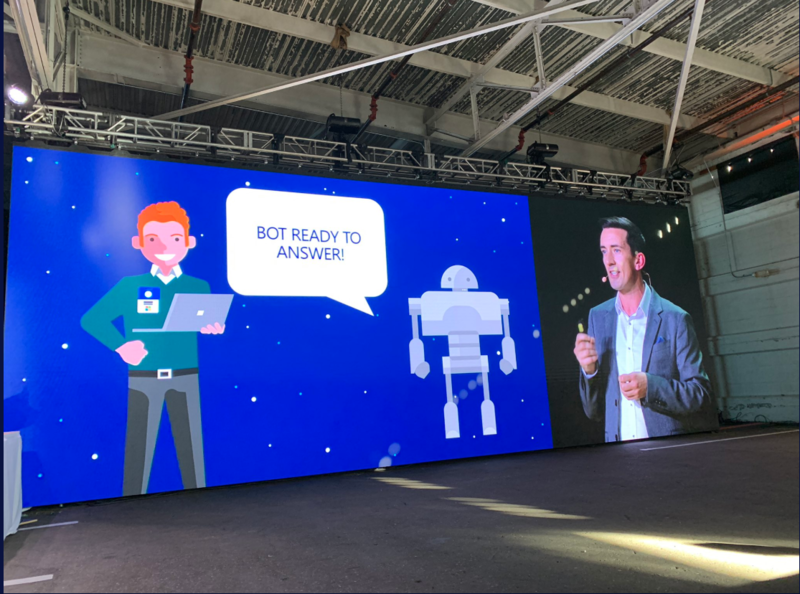 With Talkdesk iQ–our brand new artificial intelligence platform, which will run throughout every Talkdesk application. We didn’t stop there. Talkdesk also made an industry-first promise: 100% uptime SLA (you can learn more about it here). And finally, a $10M Innovation Fund, which will be used to advance contact centers and customer experience. David Garibaldi – At the end of Opentalk18 Day 1, we were all ready to kick back and enjoy some (non-CX-related) entertainment. 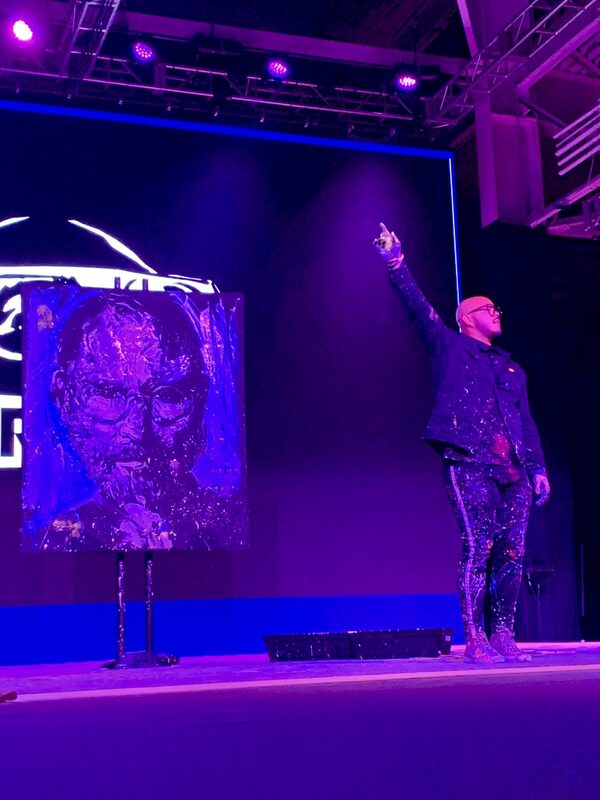 Performance painter David Garibaldi was a breath of fresh air who delighted the crowd with three masterful paintings. His electrifying performance style proved to be the perfect ending to the first day of Opentalk18. 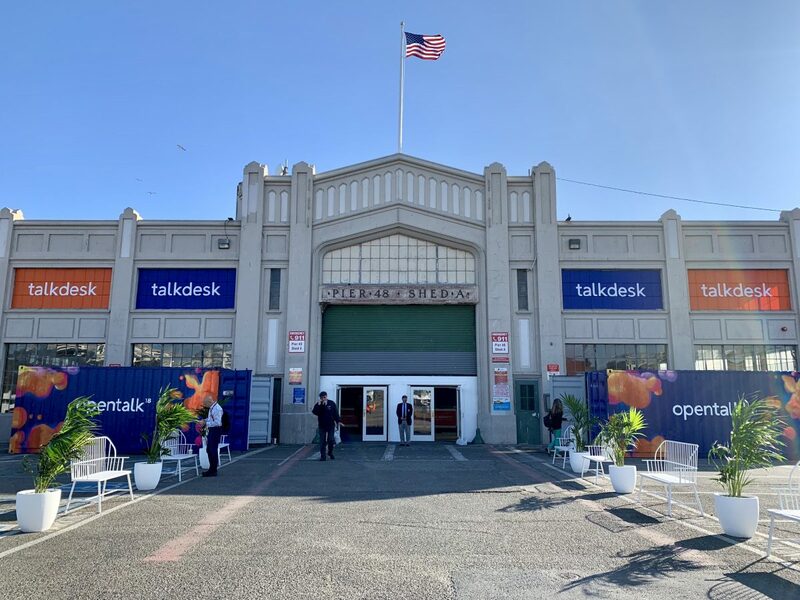 Event Venue – Talkdesk is a unique company, and we wanted our location for Opentalk18 to reflect that. We transformed Pier 48 into a show-stopping venue to host thousands of attendees for our yearly conference. Networking – Business relationships are often formed at conferences such as Opentalk18. As the best-attended Opentalk ever, there were plenty of opportunities to network and attract business prospects. Virtual Reality Game – We made sure that guests had plenty to do during session breaks. 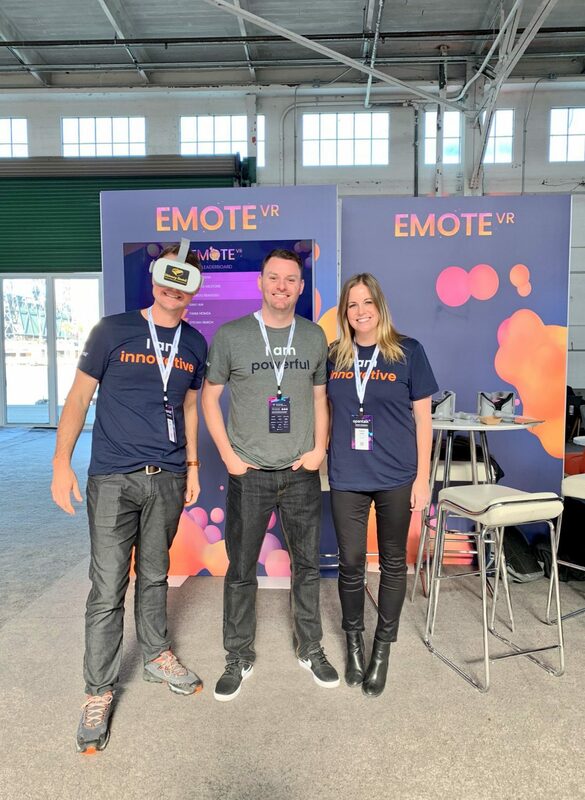 Our VR game, where players could shoot bubbles in an attempt to beat the high score, was a big hit (pun intended). Book Signings – We were fortunate to have many industry experts at our event – as well as their books! Tiffani Bova, Chris Brown and Jeanne Bliss each signed and gave away copies of their publications. Speaking of powerful and intelligent women, speaker and board adviser Nicolle Paradise gave our opening spotlight session. Kicking off a conference is no easy task, but Nicolle rose to the occasion in an upbeat and engaging manner. 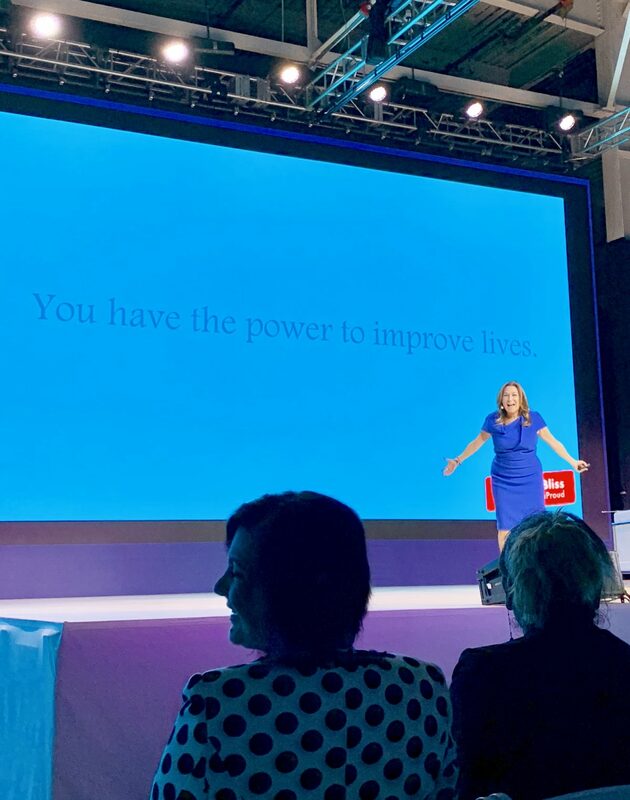 She shared startling statistics about employee investment and customer loyalty, as well as how to become a better, happier leader. Eric Ullman, Adobe Senior Customer Experience Improvement Leader, shared the many benefits of enlisting your customers in the content creation process. Eric defined customer co-creation as “deliberate collaboration between different groups to generate mutually beneficial outcomes.” He also listed the benefits of utilizing customer co-creation, such as accelerated innovation and increased customer loyalty/advocacy. 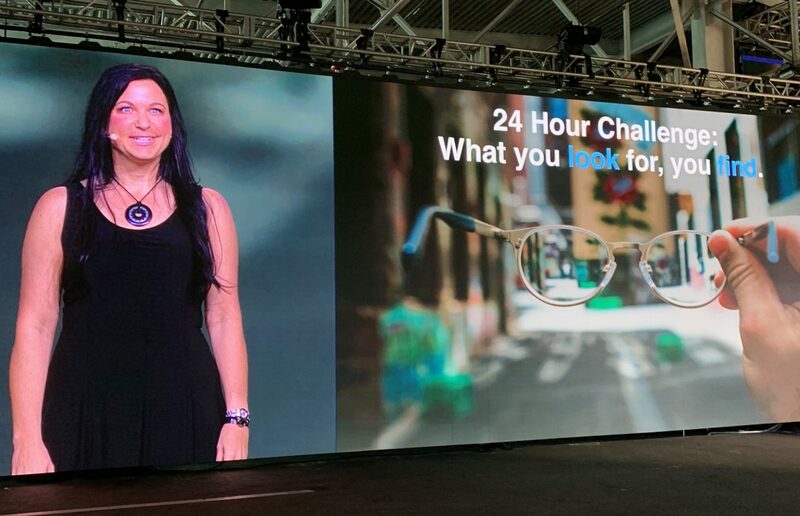 Tiffani Bova, Global Customer Growth and Innovation Evangelist, used her extensive industry knowledge to share what makes a customer experience remarkable. 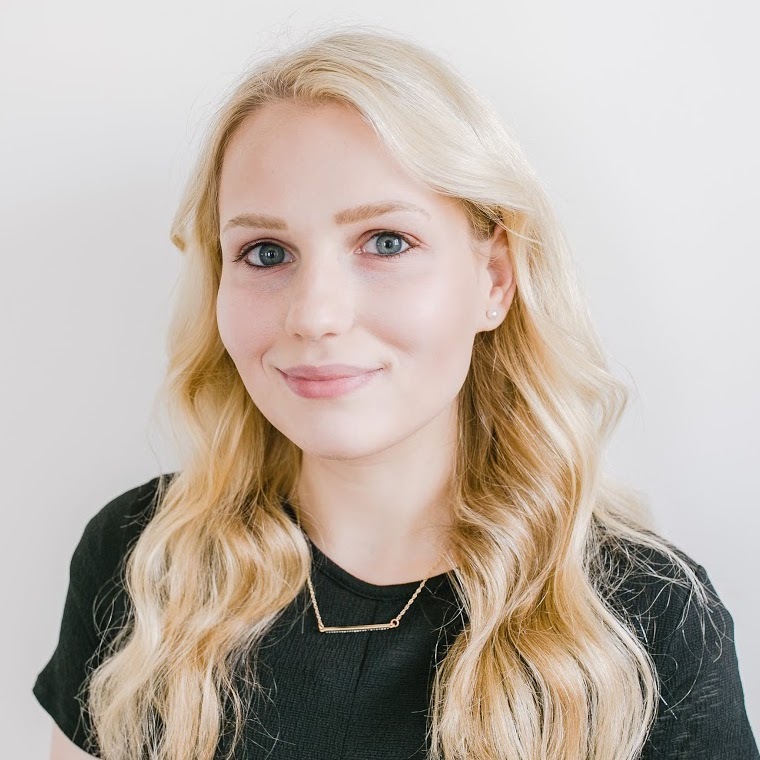 She summarized these elements into “The Core Pillars of Every Great Experience,” which includes knowing all that you can about the customer, using AI to personalize the experience and engaging throughout the entire customer journey. Attendees, Speakers, and Staff – Our list wouldn’t be complete without mentioning the people who made the CX event of the year possible. At the risk of sounding like an Oscar acceptance speech, we’d like to thank the extraordinary people who spoke at, attended and planned Opentalk18! We hope you enjoyed Opentalk18 as much as we did. But, the fun doesn’t stop now! If you missed any speakers, check out Opentalk On-Demand to watch videos from every session and keep the magic going long after the end of the event. Sign up for Opentalk On-Demand and get every Opentalk video sent to your inbox!